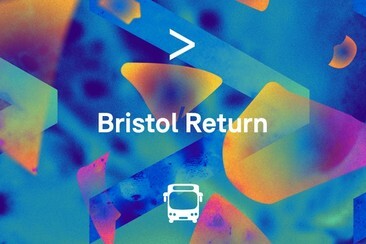 This ticket allows general admission access for The Chemical Brothers on 24th May 2019. This ticket allows general admission access for The Strokes on 25th May 2019. This ticket allows general admission access for Christine and the Queens on 26th May 2019. This ticket allows general admission access for Bring Me The Horizon on 31st May 2019. This ticket allows general admission access for Mumford & Sons on 01st June 2019. This ticket allows general admission access for Bon Iver on 2nd June 2019. This ticket allows VIP access for The Chemical Brothers on 24th May 2019. This ticket allows VIP admission access for The Strokes on 25th May 2019. This ticket allows VIP admission access for Christine and the Queens on 26th May 2019. This ticket allows vip admission access for Bring Me The Horizon on 26th May 2019. This ticket allows vip admission access for Mumford & Sons on 01st June 2019. This ticket allows VIP admission access for Bon Iver on 2nd June 2019. Situado na vibrante Bloomsbury e a apenas 5 minutos a pé da estação de metro de Russell Square, o Generator London foi considerado um dos melhores albergues de Londres. O local tem um visual alegre, quartos acolhedores e muito estilo e um bar. É um espaço urbano e social com um interessante programa de eventos, noites de DJs locais e um cinema renovado! O famoso Generator Bar oferece promoções especiais em refeições e bebidas, todas as noites. O entretenimento disponibilizado inclui karaoke, um DJ ao vivo e filmes gratuitos. O Generator dispõe de quartos partilhados em dormitórios e privados com casas de banho "en-suite". O ambiente é simpático e cosmopolita. O estabelecimento também disponibiliza uma excursão gratuita a pé da cidade. Set in the trendy East End neighbourhood of Shoreditch, this chic budget hotel is a 5-minute walk from Aldgate East tube station and from Brick Lane Market. 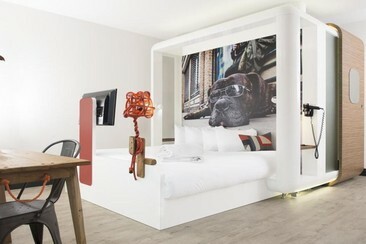 Soundproofed rooms have a futuristic feel with urban art, bed/shower cubes, smart TVs, mood lighting and free WiFi. The lobby resembles a living room and has self-service check-in, plus a relaxed lounge/bar area. There are also recycled bikes for hire. Located a minute’s walk from Hackney Central station, Kip offers simple, clean accommodation with free WiFi. Guests are 350 yards from Hackney Empire theatre, and can reach Westfield Stratford City via public transport within 15 minutes. Each of the air-conditioned bedrooms offers either an en-suite or shared shower. Bedrooms have a flat-screen TV and storage space. 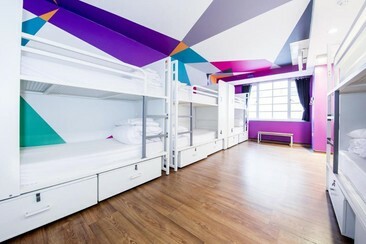 A selection of the larger rooms offer a seating area and the studios feature a fully equipped kitchen. The hotel includes a 24-hour front desk. Guests are also within a 10-minute walk of a number of shops and restaurants. 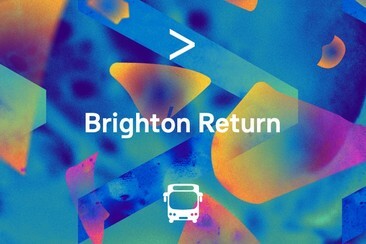 A return coach travel in comfort to your festival destination! The exact pick-up location and travel itinerary and time will be confirmed later. 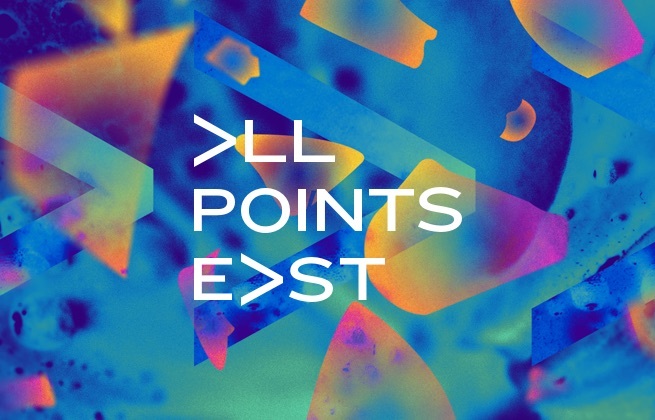 All Points East Festival returns to London's Victoria Park this upcoming May and June for ten days of thrilling, multi-flavoured music with headliners The Chemical Brothers, Bon Iver, Christine and the Queens, The Strokes, Bring Me The Horizon and Mumford & Sons present Gentleman of the Road. Also performing across the festival's two weekends will be a phenomenal and diverse lineup of acts, including James Blake, Interpol, Run the Jewels, Primal Scream, Hot Chip, Mac DeMarco, Jon Hopkins and The Raconteurs. Victoria Park is one of London's most iconic green spaces. Home to beautiful expanses and a stunning lake, it is one of the most popular spots of the capital during the summer months.